Transporting approximately 750 million passengers per year, motorcoach travel in the U.S. has historically been viewed as a very safe mode of highway transportation. Still, over the past 10 years, motorcoach crashes have resulted in an average of 19 motorcoach occupant fatalities per year, which doesn't include the fatalities of pedestrians, drivers and passengers of other vehicles also involved, according to the U.S. Department of Transportation's (U.S. DOT) National Highway Traffic Safety Administration (NHTSA). While the number of fatalities may be considered low, the industry as a whole recognizes that one is simply too many. "Just because we are the safest [mode of highway travel] doesn't mean we rest on our laurels if we want to make it safer than it is," says American Bus Association (ABA) President/CEO Peter J. Pantuso. "Any time you're serving the public, you want to make sure you do it perfectly every time and, for the most part, the industry does that, but sometimes mistakes are made." One of those "mistakes" happened in March when 15 passengers died after the driver of their tour bus lost control of the vehicle and struck two sign poles, one located directly behind the other, on I-95 in the Bronx, (N.Y.). In 2009 and 2010, the carrier, World Wide Travel, had been involved in two crashes, resulting in one injury, and was cited five times for fatigued driving between December 2009 and October 2010, according to Federal Motor Carrier Safety Administration (FMCSA) records. The driver himself is also being investigated by the New York State Department of Motor Vehicles for possibly filling out driver license applications containing false statements about the status of his license and whether he did so to conceal the fact that he had been using multiple names and had a suspension under one of those names, according to AP. At press time, the driver was also being sued by at least one surviving passenger who claims that the accident was caused by him "negligently falling asleep" at the wheel, according to a New York Times report. The questionable history of the operation and the possibility of driver error seem to fit the profile of many of the motorcoach accidents that have gained notoriety over the past few years. The recent accident in New York also further exposes the absolute necessity to get unsafe or "rogue" motorcoach carriers and drivers off the road quickly to save the lives of the traveling public. To help better identify these carriers and drivers, the FMCSA introduced the Compliance Safety Accountability (CSA) program in December 2010. The goal of the program is to allow the FMCSA to reach more carriers earlier and deploy a range of corrective interventions to address a carrier's specific safety problems before crashes can occur. "The concept of CSA is to really ferret out those companies or drivers that are problematic or potentially problematic, which really makes a lot of sense," says United Motorcoach Association (UMA) President/CEO Victor Parra. CSA builds on the FMCSA's former processes for assessing and improving the safety performance of motor carriers and drivers, including an enhanced compliance review (CR) and more focused and efficient interventions tailored to address specific problems. The centerpiece of CSA is the Safety Measurement System (SMS), which will analyze all safety-based violations from inspections and crash data to determine a commercial motor carrier's on-road performance. The program also establishes a new enforcement and compliance operational model, which will utilize both the FMCSA and its state enforcement partners more efficiently and effectively, and includes a website (http://ai.fmcsa.dot.gov/sms/) that enables operators, drivers and the public to view safety data in a user-friendly format. "CSA is an important new tool that will help reduce commercial vehicle-related crashes and save lives," says Federal Motor Carrier Safety Administrator Anne Ferro. "As a federal agency, we continue to strive to do our jobs better and that includes refining the tools we use to identify high risk carriers, therefore, trending risky carriers and drivers is part of what we need to be doing." The FMCSA carefully planned and developed CSA over the past few years. The first step involved a thorough review of the agency's compliance review process, followed by the development of the SMS and a process change piece. In addition, the CSA model includes a change to the Safety Fitness Determination (SFD) — the rulemaking for which is due later this year — that is also tied to SMS results. "When I came on board, the plans were fairly well structured, in terms of deploying the program," explains Ferro. "It was really in the early months that I was on board that we looked at it and could see that we needed to deploy this thing in components, starting with the SMS and, then, moving on to the process change piece and the Safety Fitness Determination Rule itself." The new CSA model attempts to improve the FMCSA's former CR program, which was resource-intensive and reached only a small percentage of motor carriers. Onsite CRs to determine a motor carrier's safety fitness required an average of three to four days to complete, with FMCSA only able to perform CRs on a small number of the 700,000 active interstate motor carriers because of the relatively small size of its staff, according to the agency. 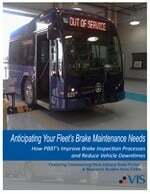 "CSA recognizes that problem drivers are the principal safety issue. 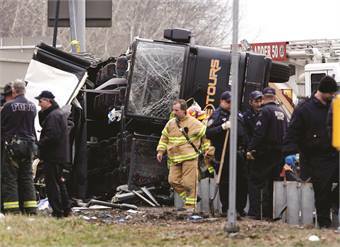 Eighty-five percent of commercial vehicle accidents are not vehicle or highway based, they are caused by the drivers actions, behaviors, skill or performance lapses" says Joseph Osterman, the former managing director of the National Safety Transportation Board (NTSB) and now president of J S Eastman Enterprises LLC. "CSA is a system that focuses on drivers, takes driver data, sorts it, measures it and catalogs it so that the worst drivers can be identified. It then brings attention to those drivers and the companies they are working for, that's where the big payoff will be." The program also replaces the FMCSA's former system performance measurement system, SafeStat, which was effective but grouped safety problems together to identify carriers for a one-size-fits-all CR. Moreover, it did not focus on the behaviors known to cause crashes, according to the FMCSA. "CSA has implemented a renewed effort to encourage motorcoach operators to pay attention to its safety ratings and scores. Even the discussion about the program has made operators better because we are talking about safety and taking actions to make sure that the information recorded in CSA is true and accurate," says Jared Stancil, vice president of Anchor Trailways & Tours in Nashville, Tenn. "The potential to identify and address unsafe motorcoach operators and drivers is very positive and good for the industry."